The Louisiana Supreme Court has called for public comment on a proposed amendment to Louisiana Rule of Professional Conduct 1.5(f)(2). If adopted, this amendment would impose upon lawyers more onerous informed-consent prerequisites to accepting fixed or minimum legal fees prior to performing services. See La. Sup. Ct. Call for Comments on Proposed Amendment to Rule of Prof’l Conduct 1.5(f)(2) (Jan. 26, 2017). The public comment period closes March 1, 2017. (2) When the client pays the lawyer all or part of a fixed fee or of a minimum fee for particular representation with services to be rendered in the future, the funds become the property of the lawyer when paid, subject to the provisions of Rule 1.5(f)(5). Such funds need not be placed in the lawyer’s trust account, but may be placed in the lawyer’s operating account. 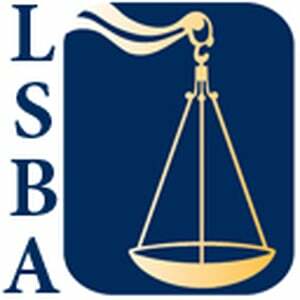 To address this problem, the LSBA in June 2016 recommended to the Louisiana Supreme Court that it amend Rule 1.5(f)(2) to allow fixed fees only when a lawyer obtains “the informed consent of the client in a writing signed by the client.” See Resolution 2, LSBA House of Delegates (May 6, 2016) (approved by the LSBA House of Delegates on June 9, 2016, and the LSBA Board of Governors on June 10, 2016). (f) Payment of fees in advance of services shall be subject to the following rules: . . .
(v) that the client may be entitled to a refund of a portion of the fee if the agreed-upon legal services have not been completed. This is a sensible proposal. It would address many of the problems associated with fixed fees, but would not take the controversial step of requiring a lawyer to place a fixed fee in trust until the conclusion of a matter. Moreover, it would require the lawyer and client to agree upon the scope of the lawyer’s services at the commencement of the representation—something that is often a point of confusion. Finally, it would formally notify the client of the right both to terminate the lawyer’s services and to demand the refund of any unearned portion of the up-front fee. Most of the clients who end up with “deadbeat” lawyers (not my words) aren’t savvy enough to understand what the proposed provision means, assuming the lawyer even has the client sign a contract. I would also suggest that most non-corporate clients wouldn’t be in a bargaining position to negotiate this (or any) part of the attorney-client agreement. It seems to me this protects the lawyer at the expense of the client, which doesn’t seem to be the purpose behind the proposed rule change. I hate the nanny state. I do not like assuming everyone is an idiot and others are obligated to bend over backward to keep the morons from making a “bad” decision. This completely smacks of nanny state. Caveat Emptor should be the rule. Let the lawyer and the client make whatever arrangement(s) they wish, as long as they are in writing and signed. If the lawyer does something illegal, then follow that line. Otherwise leave the lawyers alone. The above quote points to the heart of the matter. 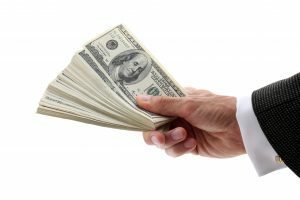 Yes, from time to time an attorney may mishandle client funds or refuse to rebate unearned fees. But enacting a new regulation to solve an occasional violation is equivalent to punishing the whole class because one or two students misbehave. There are enough rules to sanction any offending attorney. The new rule is a solution in search of a problem.